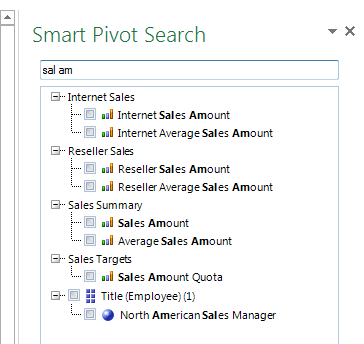 We’ve just finished publishing a new beta release for SmartPivot, our addin for Excel OLAP cubes (and now also PowerPivot/Excel 2013 Data Models). You can download it here. Give it a try, just remember it’s a beta release, use it for testing purposes only! 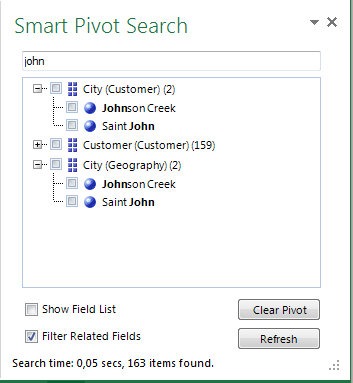 :) It would be great to get feedback on the new features, particularly the “fast full text search” over Cubes/PowerPivot. Now, onto the new stuff! This is probably the main new feature for this release. 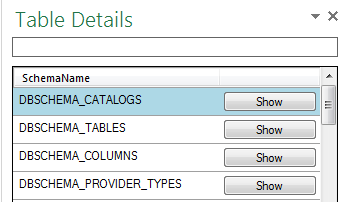 We hope that this can take Excel olap/ppivot pivot tables usage to a whole new usability level. But tell us what you think. 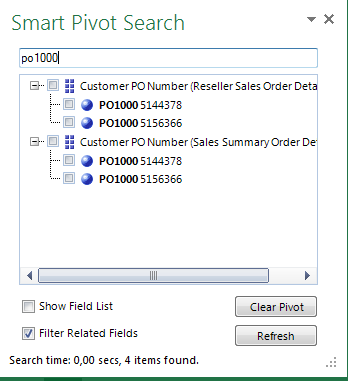 On the first run for a cube/ppivot, wait a few moments for SmartPivot to read/cache all dimension data (at the moment it will do this automatically only for PowerPivot models or local SSAS connections). This makes exploring the data much easier for end users, as they usually know the data very well (but not always the cube concepts of measures, dimensions, attributes and others). They can start their own model discovery. Cell Value from Table Reports –You can now start a table report from a cell value (see a previous post here), like you would do with the Detail By option, but it allows you to build a table report for that specific context. Now, we just need you feedback! Download it and tell us what you think.